By Addison Duvall in Blogging. Updated on November 19, 2018 . It’s official: designers these days absolutely need to develop their personal brands in order to market themselves to clients. Without a memorable personal brand that sticks in people’s minds, you’re just another designer floating out there in the endless sea of competition, and you will have to fight with them for the same jobs. Personal branding is defined as an amplified version of yourself, edited to bring everything that’s relevant to your work and your vision to the fore. But how much of this is planned and how much is just a natural part of interacting with people? Let’s figure it out. The best kind of branding is “no” branding. The key is to carefully develop your personal brand, while simultaneously making it look like you did nothing of the kind. Too much obvious “branding” is a turn off. But just because it looks like you’re not actually doing anything to promote your brand, it doesn’t mean there isn’t a ton of effort involved behind the scenes. For example, say you have a blog about design. You might be a bit playful in your tone, and frequently mention the daily antics of your friends, your dog, or your trip to a favorite restaurant. People might gravitate toward your blog for the funny and insightful things you say, and you might be viewed as a humble, down-to-earth kind of person, rather than a slick marketing machine. And the truth is, you really are humble and down-to-earth. Your friends really do say those funny things, et cetera. But there’s also a marketing plan at work here, in which you amplify your own personality traits to make them into a brand. Your mission, whatever it is, must be earnest and genuine. Trust me, people can tell if it isn’t. 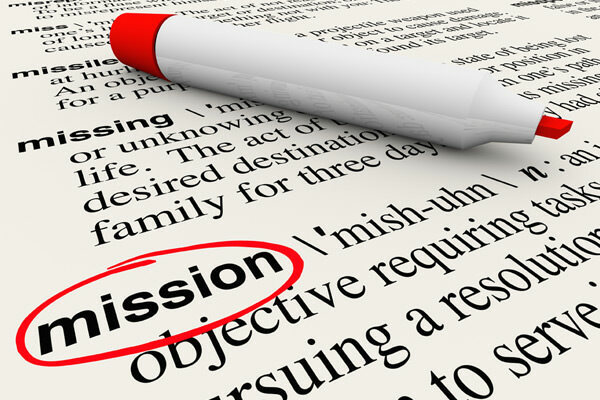 Your mission, or goal, can be abstract or precise, but it needs to be at the heart of everything you do. Do you want to change the world through design? Well, that’s pretty vague, but perfectly acceptable as long as your readers truly believe that’s what you want to do, and they can see that through your content. Perhaps you want to educate fellow designers about the perks and perils of the industry. That’s vague too, but at least you have a lot of room to interpret that message for your readers. You have to reconcile who you are as a designer and individual with what people expect from you professionally. It’s like the Freudian id versus superego of design: instinct versus external influences. In our previous example above, where we imagined that we were the simple designer who blogs about design and includes random, human details from our lives is still creating a conscious brand that people have developed a certain set of expectations about. If you, the design blogger, suddenly started making long posts about golf – simply because you developed a sudden interest in the sport, that would violate your readers’ expectations and cause them to question the validity of your brand. That’s not to say you can never change topics or deviate from the design-specific subject matter you started out writing about. But keeping in mind your general goal – what exactly you want to communicate to your audience – and keeping your content specific to this goal, is very important to a successful personal brand. Cultivating your public image is a matter of filtering out things that don’t fit, not artificially putting things in. For example, if other designers are blogging about a certain trend in design that’s really hot right now, but that you don’t particularly care for or have any interest in; don’t start writing about it simply to keep up. You will burn yourself out writing about something that doesn’t interest you, and your readers will be able to detect that lack of passion, and will begin to ignore you anyway. Instead, you want to filter out the things that are irrelevant to your personal brand’s main goal, whatever that is. As we learned above, doing things that stray wildly from the main drive of your brand – like golf posts on a design blog – will turn off readers not because your message isn’t genuine, but because it won’t fit with what they expect when they visit your blog. In branding design, we often say that you can’t actually create a brand, in the same way that you can’t create happiness. Think about it. Happiness is a feeling that comes from a memory of something good, whether it’s spending time with people you care about, or doing something that makes you happy. It’s the experiences that make you happy which leads to happiness. In the same way, it’s the experiences your clients and users have with your designs that builds brand loyalty. Have any thoughts to add about creating a personal brand? How do you keep your own personal brand vibrant and full of authenticity, yet finely tuned to your audience’s expectations and needs at the same time?